When families are looking to purchase a new car, they are often looking to buy the safest vehicle they can afford. That’s why American families should support the effort by the Trump administration to lower the cost of owning a new car by modernizing Corporate Average Fuel Economy (CAFE) standards. These changes will make safer cars more affordable for more American families. It’s easy to understand why families seek safe, dependable vehicles for road trips to the beach, visits to grandparents, a run to the grocery store, or taking the kids to school. Packing a family in a small car for a vacation or to go to soccer practice can be a challenge. Americans want the safety, comfort, and flexibility newer cars provide. There’s a reason why trucks and sport utility vehicles are among the most popular on the road. They’re bigger, safer vehicles that offer the flexibility to do just about anything safely and comfortably. But unfortunately, rising prices caused by unnecessary regulations are placing new cars out of reach for many families. But, the Trump administration proposal would change that. The Trump administration recently announced that it would scale back the Obama administration’s CAFE standards, keeping the 2020 standards requiring about 37 miles per gallon in place until 2026. As Transportation Secretary Elaine Chao and acting EPA Administrator Andrew Wheeler put it in an op-ed for the Wall Street Journal, in order to “make cars great again,” the administration will ensure that a national fuel economy standard is both “technologically feasible and economically practicable,” all while “promoting energy conservation.” Their effort won’t just make cars great again—it will make new cars affordable again. 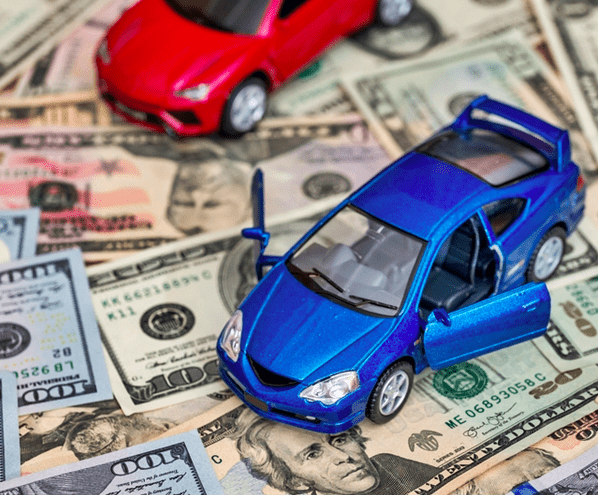 In their op-ed, Chao and Wheeler point to the current CAFE standards as a factor in the average cost of a new vehicle rising to $35,000, a price tag out of reach for many Americans. According to the National Auto Dealers Association, keeping in place the existing mandates would cause the average price of a new vehicle to increase another $3,000 by 2025. These significant price increases in new cars or trucks make consumers poorer and the economy weaker. However, in sharp contrast, a Heritage Foundation study estimated that repealing the existing mandate would save consumers in 2025 at least $7200 on a new vehicle. A study earlier this year by the National Highway Traffic Safety Administration found that the increased safety standards in new model year vehicles are safer than those in older vehicles, resulting in fewer deaths and injuries when they are involved in accident compared to older models. But, due to rising prices, Americans are keeping their older cars for longer periods of time, rather than purchasing newer, safer cars. The average age of vehicles currently on the road has climbed to a record high of nearly 12 years old. Newer vehicles are safer vehicles, and it’s vital that the safest vehicles are within reach of hardworking families. The NHTSA estimates that the proposal to revise the standards will lead to more new vehicles on the road, saving 12,000 lives over the next 12 years. For too long, bureaucrats have used CAFE regulations to dictate to automakers what types of cars they can make and sell, which limits consumer choice, raises the prices of new vehicles, which makes new cars unaffordable for many Americans. Consumers and the free market should be the determining factors in what types of cars are available for purchase, not government bureaucrats. The Trump administration’s move to modernize CAFE regulations takes this power away from bureaucrats and puts it back in the hands of the American consumer—exactly where it belongs. We need to let the National Highway Traffic Safety Administration and the Environmental Protection Agency know that Americans support the president’s effort to make new cars affordable again. The public comment period ends October 23, 2018. Make your voice heard contact your representative. Lauren Fix, The Car Coach® is a nationally recognized automotive expert, media guest, journalist, author, keynote speaker and television host. Post your comments on Twitter: @LaurenFix or on her Facebook Page. Read more Automotive Industry articles by Lauren here.